Louis Warren, Ph.D. is W. Turrentine Jackson Professor of Western History at the University of California, Davis focusing on the American West, environmental history, Native Americans, and California. Louis Warren has been a long-time contributor to the History Project and will serve as Co-Director of the Landmarks workshop. He is author to: Buffalo Bill’s America: William Cody and the Wild West Show (Alfred A, Knopf, 2010), editor for American Environmental History (Blackwell, 2013), The Hunter’s Game: Poachers and Conservationists in Twentieth-Century America (Yale University Press, 1997), and numerous articles including “Wage Work in the Sacred Circle: The Ghost Dane as Modern Religion,” Western Historical Quarterly 46(2) Summer: 141-168. His new book God’s Red Son: The Ghost Dance Religion and the Dawn of the Twentieth Century is set for publication in 2017. Stacey Greer is the Director of the History Project at UC Davis and previously work for the California Department of Education as the Education Programs Consultant for History-Social Science. In addition, she taught both middle and high school in California. Her academic focus lies in World History and supporting teachers in bringing historical literacy to their classrooms. Phil Sexton is a professional interpreter of cultural and natural resources for the California State Railroad Museum. 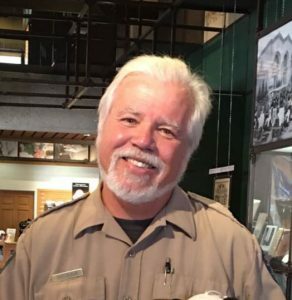 He has over 30 years in natural and historic resource management and interpretation with the US Forest Service, the US National Park Service, and California State Parks. Prepare your most random railroad and environmental questions for Phil, he knows all! Rachel St. John, Ph.D. is an Associate Professor of History at University of California, Davis focusing on North American history with a particular emphasis on state-formation and nation-building in the nineteenth century. Her books Line in the Sand: A History of the Western U.S.-Mexico Border (2011) and current book project, The Imagined States of America: The Unmanifest History of Nineteenth-century North America (forthcoming) explore the diversity of nation-building projects throughout the long nineteenth century. 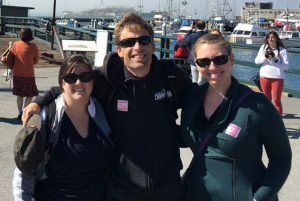 As the History Project’s Associate Director Katharine Cortes regularly coordinates professional learning for history/social science teachers in the Greater Sacramento area. She received her Ph.D. from the UC Davis History Department with a focus on nineteenth century US History. She will work closely with teacher-leader Jeff Pollard who is a current classroom teacher and Mentor Teacher Leader with the History Project, running workshops, mentoring other teacher leaders, and creating innovative lessons to share with the teaching community. They will provide specific attention and support to translating the experience into classroom applications, assuring that NEH Summer Scholars will benefit both intellectually and professionally.